It looks like a fancy duffle bag. You know, the kind you’ll rock as part of your fancy streetwear outfit, instead of the kind you just randomly pulled out of the shelf and filled with your gear. 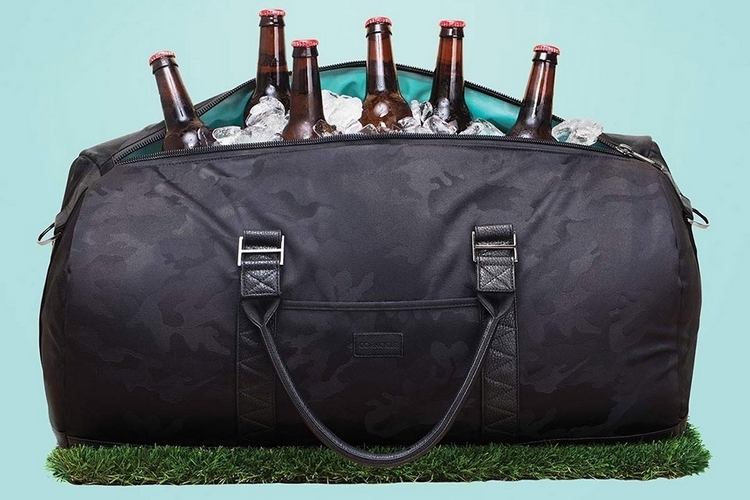 The Corkcicle Ivanhoe Duffle, however, is no ordinary bag, as it’s a soft-sided cooler that lets you carry a bunch of chilled refreshments in style. That’s right, you can now make your way to the tailgate while looking like you’re heading out to the gym, allowing you to pretend you’re going to spend the new couple hours hitting mitts, lifting weights, or doing your gym’s workout of the day. Seriously, you can probably keep this under the desk at the office with no problem, since no one’s going to suspect the darn thing is filled with nothing but beer and ice. 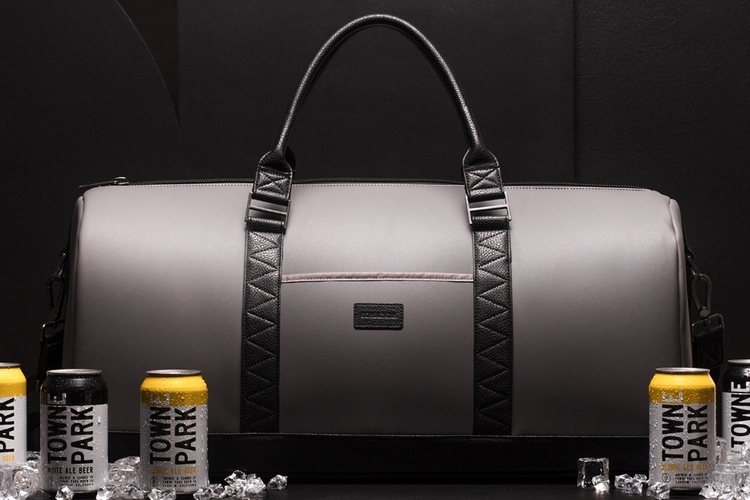 The Corkcicle Ivanhoe Duffle is equipped with closed-cell foam insulation that can keep all of its contents chilled for the entire day, making it ideal for holding grub and libations during picnics, day trips, and parties. 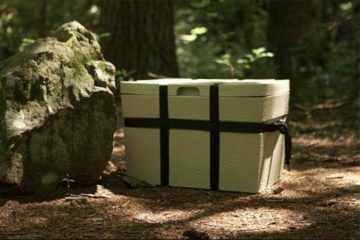 No, you probably shouldn’t use it to hold your food and refreshments during a weekend camping trip, but it should hold up for anything that won’t require keeping stuff chilled for more than 24 hours. 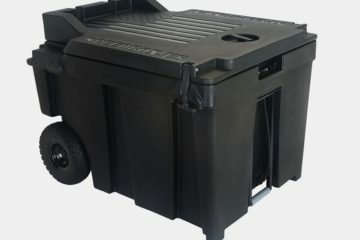 It can hold up to 48 cans of beer, along with a good helping of ice, so you can cram enough libations inside to get a small group inebriated for your next drinking party. Outside, the bag is cut in a shell decked in either a dark camouflage pattern or a solid gray finish, with reinforced faux leather at the base, handles, and various details. It has a food-safe TPU liner that can resist odor, mold, and mildew, all while being fully heat-welded to prevent any moisture from leaking. According to the outfit, the interior can be cleaned by simply wiping down, so you can take this from one party to the next without having to do any serious cleaning. The Corkcicle Ivanhoe Duffle comes with carry handles for toting the bag by hand, as well as a removable padded shoulder strap, in case you need something sturdier to carry the weight. A full-length YKK zipper closure provides access to the main compartment, allowing you to fill it up with drinks and ice with the same ease that you can grab your next beer in the middle of a drunken stupor. Like any proper bag, it comes with easy-access side pockets with magnetic closures for holding small accessories (like bottle openers and pocket knives) and a rear accessory pocket with a zippered closure. Aside from the duffle bag, Corkcicle’s new cooler line also includes three other soft-sided coolers in bag form factors, each of which looks like an actual bag, allowing you to haul your drinks in a discreet manner. This includes a 24-can tote bag, an 18-can handbag, and a 12-can bucket backpack, all of which come with YKK zipper closures, reinforced vegan leather elements, and padded straps. 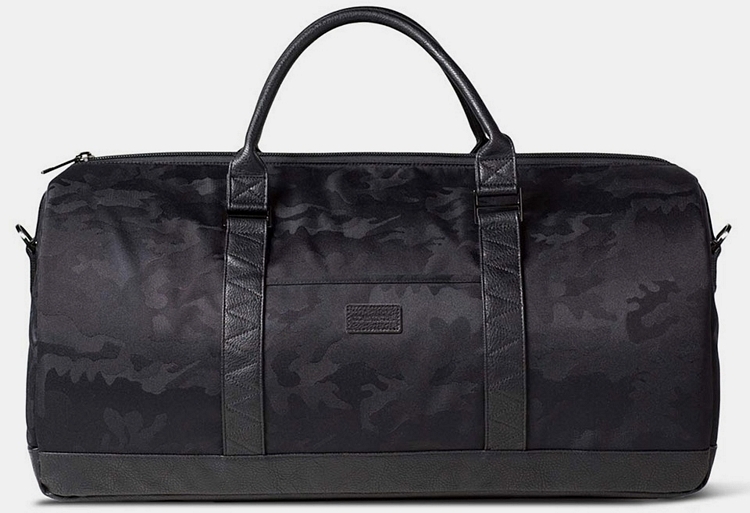 The Corkcicle Ivanhoe Duffle is available now. I’m not very impressed. Nearly $200 for the Corkcicle Ivanhoe Duffle seems excessive. It’s function is mediocre and the design is embarrassing. I actually own a few cooler bags for the picnics my husband and I go on and they’re all much more fashionable than this. I also don’t drink so I admit that really turns me off of giving the Corkcicle Ivanhoe Duffle a fair chance. I actually don’t mind it. We have kids too who are about to be teenagers. Somehow I still get them to do things like go to the park to play basketball with us, so this bag might be “cool” for them. If I can get them to rehydrate and have a picnic while looking cool so they actually do it – I’ll take it. Well, the website is called CoolThings and not CheapThings. I disagree with you on the design and function of this bag. You add ice and drinks and it keeps it cool. The design is urban camouflage, designed to look like a regular bag but in reality is a cooler. I think the bag looks really nice. Yes, it is expensive, but you get what you pay for. If you’d rather use a cheap plastic bag from Walmart and add ice to it, then go ahead, just don’t expect the same results that you would get with the Corkcicle Ivanhoe Duffle cooler bag. You don’t have to drink beer to utilize this bag. It would work with cans of soda or bottled water. You can also pack a HUGE amount of food for a family picnic. LOL calm down lady, they were just stating their opinions. If you’re really into fashion in a serious way, I can totally see why they don’t like it. My sister is and she would never drop that kind that kind of money on what looks like a fake bag to other fashionistas. It’s just how it is. Sorry, my tone came off wrong. Hard to show proper emotion behind a keyboard. I was saying it in jest, not seriousness. You don’t have to be “into fashion” to appreciate a good looking piece of luggage. It’s not a Gucci purse, but it doesn’t look fake…I mean its a unique original design so…. Anyways, the good thing is not everybody likes the same things, and for that, I am truly glad. Can you imagine if everyone in the World dressed and acted identical, it would be a boring world. Taking an ice cooler to work that looks like a bag and filled with beer and ice. Yeah, you totally sold me on this idea! The Corkcicle Ivanhoe Duffle is a great deal. It has beautiful styling, yet is very functional too. You can tell they have “attention to detail” because the Corkcicle Ivanhoe Duffle uses the reliable YKK Zippers. A lot of companies tend to buy cheap generic zippers that aren’t reliable because they are cheap. I am glad they use the quality YKK zippers with this bag. i like both colors, but the gray looks really sophisticated to me. 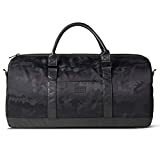 If the Corkcicle Ivanhoe Duffle is out of your budget, then click the link below then clock on Corkcicle to see the other products they sell on Amazon. They have a stainless steel insulated can holder. 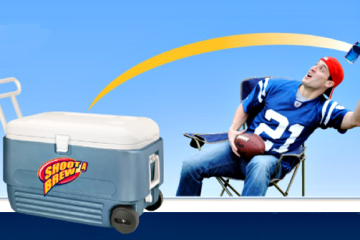 It looks great and would help to keep your beer cooler longer after you pull it out of the ice chest. I don’t mind the Corkcicle’s Duffle Cooler. My husband and I go on tons of picnics and hikes during the spring and this would be perfect for bottled water and snacks. Right now we’ve been carrying two bags, one for the temperature regulated stuff and then a book bag for everything else. It’s a little much when you’re actually hiking. I also like that it comes in different colors but since I normally wear mostly black, that’s probably what I’d get. I’ve been looking at the MYOG forum on Reddit. MYOG stands for “Make Your Own Gear.” These guys and gals are making their own outdoor equipment including backpacks, camp tarps, tents, and cooking stoves. 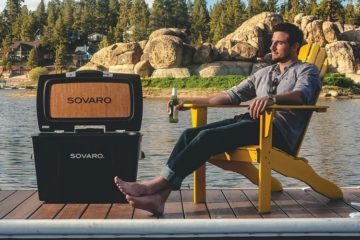 Between reading the MYOG subreddit and this post here on CoolThings, I am considering trying to build my own cooler duffel. It might not look as good as the Corkcicle Ivanhoe Duffle, but I could build it for much less. Ideally, I would at least order one and use it as a pattern to make my own DIY cooler bag. I would like to try to make some MYOG, but I will start with stuff sacks made from Cuben fiber fabric. A stuff sack looks pretty easy, but the backpacks they are making over there look too complicated for my novice skill level. How durable is the stitching on the strap? It would have to hold a lot of weight if you loaded the bag up with ice and beer bottles. The bag is made by Corkcicle, so I have no worries about the stitching coming loose. 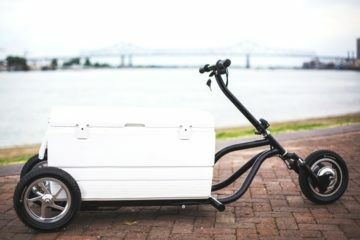 If you are going to load it full with ice and bottles, then you might be better off carrying it with the shoulder strap, but the handle will support the weight without the stitching coming loose.